Prof. Dr. J. (Jan) Jonker is professor of Sustainable Development at the Nijmegen School of Management at Radboud University Nijmegen (the Netherlands). Since 2014, he has also held the Chaire d’Excellence Pierre de Fermat at the Toulouse Business School in Toulouse (France). Over the years, he has gained broad international teaching experience on the post-graduate, post-doc (MBA) as well as executive level. In his home country, he has been listed among the Top-100 most influential ‘Green’ Dutch people for seven years in a row. His research focuses on the implementation of sustainability, (new) business models and how these developments are related to change and transition. His approach is often based on crowdthinking, which implies engaging with large groups of people in specific research projects in order to explore and possibly solve issues as a collective endeavour. As a consequence many people consider him a kind of ‘academic activist’, wanting to create change and to have impact. 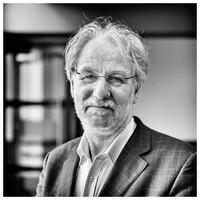 He did a TEDx in the Netherlands in 2015 on the central concepts he is working, which you can see at: bit.ly/1DJRV8i. He is the author of over 30 books among which the 2014 bestseller on New Business Models. This book is now available in English and can be acquired as an e-book to go with this MOOC.